What’s your favorite beverage of choice? If green tea doesn’t rank high on your popularity charts, a study published in the Journal of Periodontology may provide the incentive you need to give this healthy beverage a try. Green tea has long been popular in Asian culture and has intrigued experts with its potential benefits in combating health conditions including cancer, heart disease, high cholesterol, obesity, and diabetes. Interestingly researchers have found that a routine intake of green tea may also play a role in promoting good oral health. The study analyzed the periodontal health of over 900 men between the ages of 49 and 59. The results indicated that those participants who consumed green tea on a regular basis enjoyed considerably better periodontal health than those who consumed less. It is believed that what makes green tea so effective is the presence of the antioxidant catechin. Research has revealed that antioxidants possess the ability to decrease inflammation in the body. Periodontal disease is a chronic inflammation of the gums that can damage the jaw bone and lead to tooth loss. 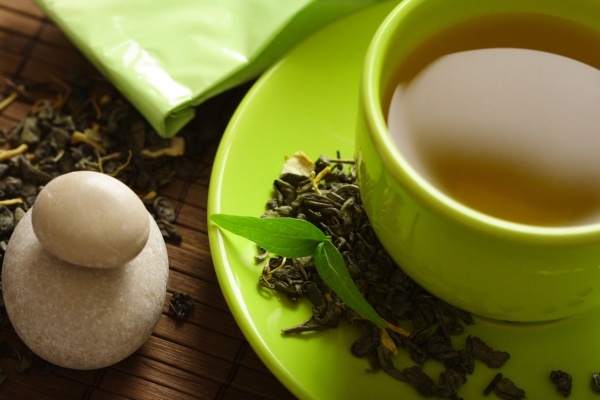 Therefore, the potential benefits of green tea in reducing such inflammation remain of interest. What potential oral health benefits could you enjoy by adopting the habit of drinking green tea on a regular basis? To get the maximum health and flavor benefits of your green tea, though, make sure you prep your tea properly. Avoiding use of all tobacco products. Clean between your teeth every day with floss or another interdental cleaner. Visit Dr. Martin, leading Lynnwood dentist, every six months or so for a professional cleaning and check-up. Make your oral health a priority. Contact us today to book your next dental appointment, and by all means take a moment afterwards to sit back and enjoy a nice cup of green tea. Let us know: How long have you been a green tea supporter? Do you do anything special to make your cup that much more enjoyable?